Shanghai / Hong Kong, 8 March 2018 – The Learning Lab, a leading provider of K-12 academic enrichment and tutorial services in Singapore, today announced the creation of a premium regional after-school education platform with Best Learning, an English language training (ELT) institute for juniors in China. Advent International, one of the largest and most experienced global private equity investors, is the controlling shareholder of The Learning Lab and provided equity financing to support the company’s investment in Best Learning, creating an education platform in Asia. Financial terms were not disclosed. The investment bolsters Advent’s efforts to establish a regional, multi-centre education and academic services platform following its previous investment in The Learning Lab, in 2014. The two companies will share many synergies, including teaching and learning models, curriculum and enhancing the learning life cycle of students. Established in 2009 and headquartered in Beijing, Best Learning is a premium junior ELT tutoring service provider for young English learners in China. The company uses U.S. teaching materials and serves approximately 50,000 children. China’s K-12 training market in Beijing, Shanghai and Shenzhen is currently valued at US$ 1.9 billion and is expected to grow at 18% per annum between 2017 and 2022, with the premium ELT sector growing at 25% over the same period. As the third largest player in Beijing’s premium junior ELT market, Best Learning is well-positioned to take advantage of this growth with its 27 tutoring centres in four cities – Beijing, Shanghai, Shenzhen and Changsha – and plans to expand to additional locations. Advent has significant experience in the education sector. In addition to The Learning Lab, investments globally in the education space have included Estácio, the second-largest post-secondary education company in Brazil; FSG, a leading private education company in Southern Brazil; Skillsoft, a US provider of cloud-based learning solutions; WSiP, Poland’s largest publisher of textbooks and educational materials; and Kroton, the largest for-profit private education company in Brazil. The Learning Lab is the leading national provider of academic enrichment and tuition services for pre-school, primary, secondary and junior college students in Singapore. We develop and run quality educational programmes in English, Chinese, Mathematics and the Sciences. Our distinctive and highly regarded brand of education is designed to ensure academic excellence, as well as to develop our students’ interests in the various academic subjects. We take great pride in designing learning approaches which go beyond exam needs by developing key knowledge, skills and dispositions that help our students achieve success in school and in life. The Learning Lab has eight centres across the east, west and central regions of Singapore at United Square, Marine Parade Central, Tampines Point, Tampines Mall, Rochester Mall, Jem, Westgate and Choa Chu Kang Centre. 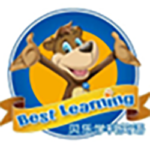 The Best Learning Education Group (Best Learning) is a premium English language training brand in China that provides high-end, quality English training services for young learners. Best Learning strives to infuse fun and joy into the language learning process, and seek to cultivate children’s creative thinking skills and critical thinking skills using a research-based curriculum that has been proven to be highly effective. Best Learning’s goal is to become the largest group for K-12 ability-building, all-around education in China. It aims to build a high-end brand that represents cutting edge educational practices and advanced technology. Currently Best Learning boasts over 50,000 learners and a staff of over 1,300 employees in 27 directly-owned centres in the cities of Beijing, Shanghai, Shenzhen, and Changsha. Founded in 1984, Advent International is one of the largest and most experienced global private equity investors. The firm has invested in more than 330 private equity transactions in 40 countries and as of September 30, 2017, had $43 billion in assets under management. With offices on four continents, Advent has established a globally integrated team of over 190 investment professionals across North America, Europe, Latin America and Asia. The firm focuses on investments in five core sectors, including business and financial services; healthcare; industrial; retail, consumer and leisure; and technology, media and telecom. After more than 30 years dedicated to international investing, Advent remains committed to partnering with management teams to deliver sustained revenue and earnings growth for its portfolio companies.